There are several theories of why aging actually happens and each of these theories seems to explain part of the story. In the mid 1950s, Denham Harman, MD, PhD developed the Free Radical Theory of Aging, which explains that cells eventually break down due to free radical attack resulting from oxidative stress. If you can imagine the body as a battlefield in which the cells are attacked by free radicals (a molecule or atom that is missing an electron) and damaged by the enemy—oxidation—then you have a pretty good idea of the scenario. By-products of free radical damage can result in cancer, Alzheimer’s, arthritis and numerous other diseases associated with aging. Overtime, the cells die, and inevitably we age and die too. A fairly recent theory (1972)—which is gaining increasing acceptance and was also proposed by Dr. Denham Harman—is the “mitochondrial damage” theory of aging. Mitochondria are the energy producing structures inside cells that enable them to function and repair and maintain themselves. In many ways, mitochondria are like car engines. A cell cannot function without mitochondria and a car cannot function without an engine. A car may look great on the outside and have a lousy engine. Inevitably, though, the car will end up in the shop more often than it is on the road. Likewise, a human body with aging mitochondria will lose its ability to stay young and healthy … because those mitochondria will negatively affect the cells that make up tissues and organs, resulting in a slowing down of the entire system. Even a very slight drop in mitochondrial energy output can result in weakness, fatigue and impaired cognitive function. Mitochondria contain their own DNA or genetic material, which is more susceptible to free radical damage than our cells’ DNA because its protective and repair mechanisms are less efficient. Additionally, mitochondria play a major role in programmed cell death (apoptosis), which helps to destroy damaged cells before they become either cancerous and/or less able to deal with their own production of damaging free radicals. One of the biggest surprises about the fundamental role mitochondria play in aging was a result of early cloning experiments. One study done at Lund University, Sweden showed that cloned sheep aged prematurely because they inherited cells with aged, damaged mitochondria. As a result of these types of studies done in the past decade, the Free Radical Theory of Aging has evolved into the Mitochondrial Theory of Aging. This theory states that over time mitochondria accumulate damage to their own genetic material. This results in a progressive loss of mitochondria capable of providing sufficient energy for the optimal functioning of the cells. Ultimately, this leads to cell aging and death. Not surprisingly, with the knowledge gained from mitochondrial aging and its consequences, scientists have sought the means to protect and rejuvenate mitochondrial functions as a potential anti-aging treatment. Luckily, some major findings have shown that it is possible to restore and maintain youthful energy production of mitochondria, even in old animals, opening up a new chapter in humankind’s quest for the ability to extend the human life span. It makes sense then, if aging starts in the mitochondria, a program to help resuscitate and protect mitochondria could have profound and long-range benefits. Dr. Bruce Ames, professor of molecular and cellular biology at UC Berkeley, put this idea to the test by giving rats a supplement designed to stimulate and protect mitochondria. The results so far have been very impressive. Not only did the older rats do better on memory tests, they had more pep, and the energy-producing organelles in their cells worked better. 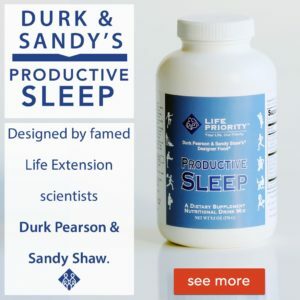 Based on Ames’ research, we now know that the combination of these two antioxidant dietary supplements supercharges the cells’ energy production in order to maximize memory, health and longevity. This breakthrough research has even shown that the combination of these nutrients has the potential of not only slowing down aging, but of even reversing some signs of aging. 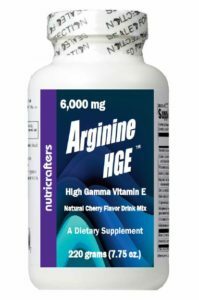 Based on dozens of studies, Acetyl-L-Carnitine has been shown to supercharge cellular energy production in order to maximize memory, health and longevity. Acetyl-L-Carnitine is an amino acid that occurs naturally in the brain, liver and kidney. It transports fats to the mitochondria and is also available as a dietary supplement. Over the course of 30 years of biochemical and clinical research, we’ve learned that ALC is a natural metabolite in our physiology and an effective treatment for age-related mental impairment. And just recently, breakthrough research has indicated that ALC is an important anti-aging nutrient! ALC was found to increase acetycholine production in the brain, which means it plays an important role in memory and brain function. Research conclusively showed that ALC improved memory in animals and people. After development of ALC as a pharmaceutical in Europe, numerous studies confirmed the clinical effects of ALC on memory, while other research was discovering that most of ALCs’ effect was due to its ability to improve mitochondrial function. By the late 1980’s it became apparent that the positive effects of ALC in so many animal and human studies were far reaching. Many of these studies showed that ALC could prevent or even reverse numerous age-related deficiencies and changes in neurological function and brain cell structure, including the prevention of nerve deterioration and restoration of nerve function in areas of the brain critical to memory. Human clinical research dramatically increased during this period. By the late 1990’s it became apparent that the vast amount of different effects of ALC on neurotransmitters and brain cell health likely had a common basis—the beneficial actions of ALC on the cells’ ability to maintain and restore mitochondrial function in spite of aging. Coincidentally, at the same time these discoveries were taking place all over the world, we were learning more and more about mitochondria and their importance in health and aging. Research showed that supplementation with ALC was actually rejuvenating mitochondria whose structure and function had declined due to the aging process. How is it possible to re-energize the mitochondria without increasing free radical production? Many of the damaging free radicals generated within cells are formed in the mitochondria during energy production. If you restored their energy producing capacity with ALC alone, it would cause a dramatic increase in free radical activity. This would increase the amount of damage occurring within the cells, and would reduce any long-term benefit. Thus, while the amazing properties of ALC are truly a revolution in dietary supplements, the most desired anti-aging strategy would be to restore mitochondria function AND lower the level of free radical production coming from the mitochondria. Because the benefits of ALC slowly dissipate as increases in free radical production age the cells. Recently, it was discovered that there are some antioxidants that could partially restore mitochondrial function in old animals and decrease free radical production at the same time. Unfortunately, most of them are synthetic chemicals that aren’t safe for human consumption. All of them except one! Luckily this natural antioxidant is very well researched and safe and approved for human consumption. Lipoic Acid is produced by the body in trace amounts. It’s a vitamin-like compound, which is often called the “universal antioxidant”. This is because unlike most other antioxidants that offer protection only for specific water-soluble or fat-soluble environments, Lipoic Acid offers protection in both cellular environments, providing antioxidant protection in all parts of our cells and body. What’s special about Lipoic Acid? Lipoic Acid is invaluable in recycling or restoring other oxidized forms of antioxidants—including vitamin C, vitamin E, glutathione and CoQ10— back to their active states. Lipoic Acid also crosses cell membranes and works as an antioxidant in both water and lipid parts of the body, including the brain. 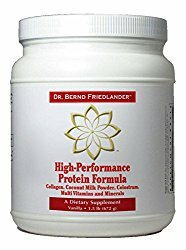 Because of Lipoic Acid’s unique abilities as a natural, broad-spectrum antioxidant, research into its effects quickly branched out. Since its development in Germany in the 1970s as a treatment for diabetic complications, it is routinely given to diabetics in Europe. Lower body levels of toxic metals, especially mercury. 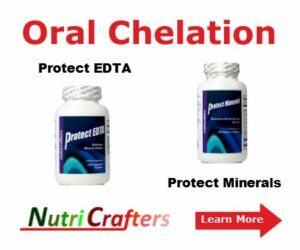 Help prevent heart disease by protecting LDL cholesterol (bad cholesterol) from oxidation. Promote brain and nerve cell health by stimulating Nerve Growth Factor (NGF). But the most intriguing discovery was Lipoic Acid’s anti-aging effects on old animals. Improve memory in aged animals by restoring age-related brain cell receptor defects. 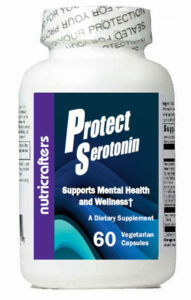 Protect brain cells from damage caused by toxins and chemicals. Recycle CoQ10 back to its antioxidant form in the body, enhancing the antioxidant protection of this important antioxidant. Normalize elevated lipid peroxide levels in aged animals, reducing the risk of oxidation damage, cardiovascular disease, and cancer. 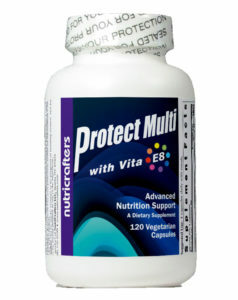 Restore antioxidant protection in old animals to normal, young animal levels. 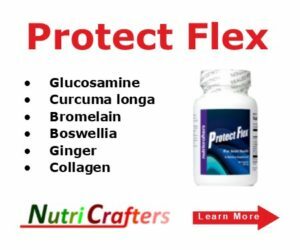 Increases tissue levels of nucleic acids and proteins, both of which decrease with aging. 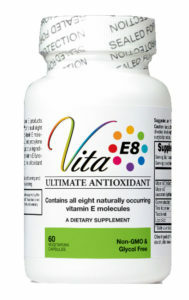 Restores mitochondrial and cellular antioxidant protection—which are greatly diminished as a result of aging. Prevents the toxicity of beta-amyloid peptide, a prime culprit in the development of Alzheimer’s disease. While decades of research have shown Lipoic Acid to be a “universal antioxidant”, with expected beneficial effects, the discoveries that Lipoic Acid can restore numerous biological functions that are diminished with aging is truly unexpected. 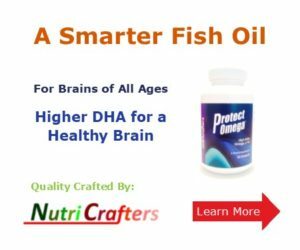 If Lipoic Acid is indeed able to help restore hearing, restore mitochondrial function, help prevent Alzheimer’s disease, and exert its powerful and unique antioxidant protection throughout the body, just imagine the range of possibilities that this amazing nutrient can offer all of us concerned with maintaining and preserving our health as we age. Recent scientific discoveries have revealed the role that deteriorating mitochondria play in the life and death of cells and organisms in the process of aging. 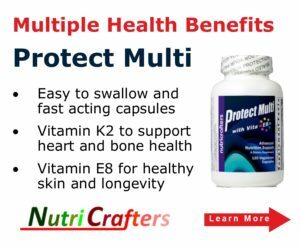 Even more exciting is the discovery of the first effective nutritional supplements that can revitalize the mitochondria, thus strengthening our cells’ ability to produce the energy necessary for slowing or even reversing the effects of aging. Functional Foodnet press release, “Dietary supplements make old rats youthful, may help rejuvenate aging humans, according to UC Berkeley, study,” Feb. 18, 2002. Lipoic Acid and Acetyl-L-Carnitine: Mitochondria Superchargers!